Sightings of whale sharks in New Zealand waters increased from around four a year in the mid-1990s to 11 in 2004. They have been seen off the north-east of the North Island, from Three Kings Islands southward to the Bay of Plenty. Harmless to humans, they feed by swimming with their mouths wide open through schools of small fish such as anchovies. 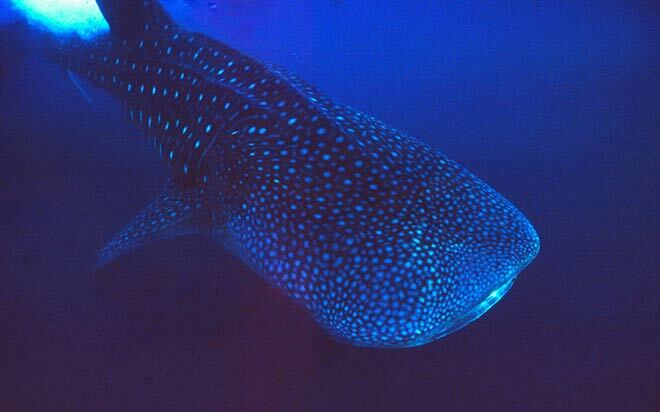 This whale shark is relatively small at 7 metres; they can grow to 15 metres or more.